A rare razzmatazz — that’s what Bollywood star Ranveer Singh brought to the closing day of a fashion extravaganza here by amalgamating his reel avatar as a rapper from his forthcoming film ‘Gully Boy’ with his real exuberant self. 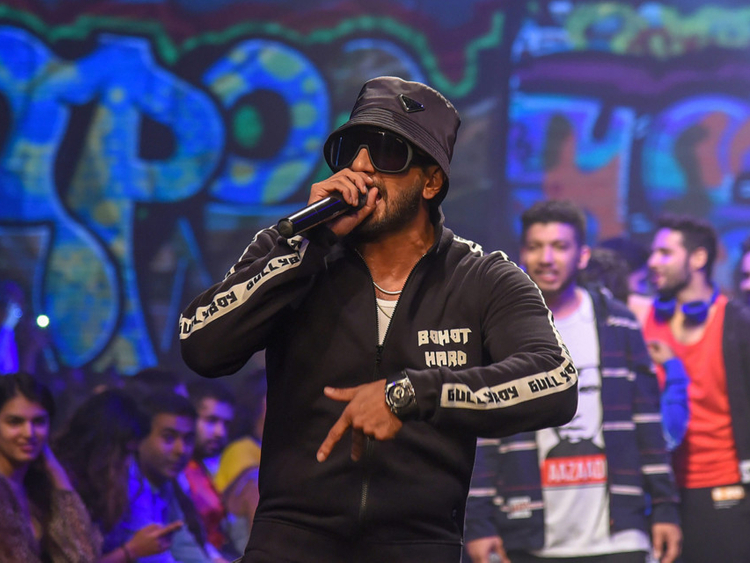 Singh brought the house down at the Lakme Fashion Week summer-resort 2019 on Sunday as he rapped live while walking the ramp with his ‘Gully Boy’ gang to showcase a new fashion line, GullyGen. The actor, along with rapper Naezy and other artists, sang ‘Asli Hip Hop’ and ‘Apna Time Aayega’ from the yet-to-release film. It was as much a unique experience for Singh as for the audience at the fashion gala. “Our film is closely connected to the music and the music was the heart of our show. There were unique performances, a live music show... The entire gang has authentic rappers and they contributed to the film, dialogues and music of the film. It was a unique show and a unique experience for me,” said Singh. Fashion label LoveGen collaborated with ‘Gully Boy’ to create the menswear line GullyGen. Singh sported a jumpsuit, sweatshirt and cap as he walked — or rather pranced around — the ramp. While the show had street art adding colour to the backdrop, Singh ensured his magic went beyond the ramp. He made an impromptu appearance at the DJ station and sang away, leaving the audience asking for more. To top it all off, he jumped into the crowd, attempting to crowdsurf, much to the delight of his fans. At the event, Singh was also accompanied by ‘Gully Boy’ director Zoya Akhtar and producer Ritesh Sidhwani.